Review: *wipes tear* when I first started this series many many years ago I didn't expect to be here now talking about the 7th book in the series and still be in love with it. I'm here to review with all my soul by Rachel Vincent today and as I write this having JUST finished it I still can't hold my emotions. I don't think I'm ever going to find characters like that again... I'm scared that I wont. I have grown up with these amazing characters Rachel has written and I'm feeling lost already. Kaylee and the Gang are back. Kaylee realises she can't save everyone she loves without making some powerful sacrifices. 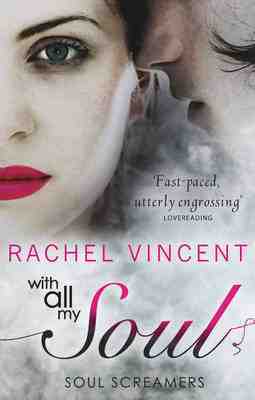 Rachel Vincent writing is beyond magical she picks you up throws you through a tunnel filled we love, hate, passion, heart ache and when you come out the other side you're a huge mess of emotions and it's fantastic. I am so dying to get this. After reading her ALPHA series and how she wrapped it up I know she's going to have me crying :). Thanks.